A number of generations of the Foley family were entertainers. As a result, there are some aspects of their public lives that were publicised and have been well documented. However, the frequently itinerant and fleeting nature of their occupations has also left many gaps in the overall story. 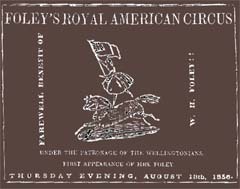 William Henry Foley, born in the United States about 1826, was a performer and manager in both the circus and theatre in California, Australia, and New Zealand. William’s first wife, who has only been referred to as Mrs W H Foley, was a actress who became famous for her performances throughout New Zealand between 1855 and 1867. John Foley was the son of William and his second wife, Maria O’Neill. John, an actor married Laura Bloom, a dancing teacher, who later became known as “Madame Foley”. 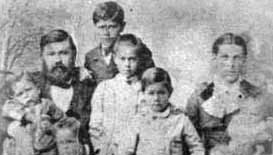 John and Laura Foley, had five children, before their marriage ended.